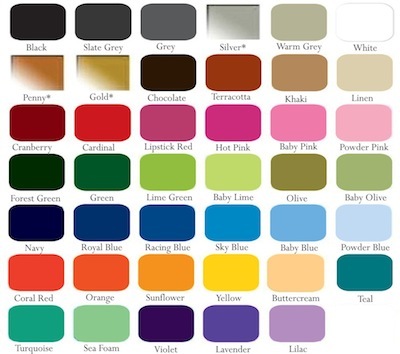 In order to receive the most accurate look of our vinyl colors, we recommend the purchase of our color chart. We use the highest quality vinyl in the market. All of our vinyl wall decals have a matte finish. *Our Gold, Silver, and Penny colors have a metallic finish. 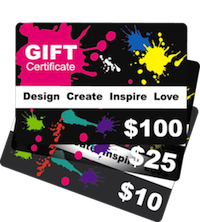 Unlike every other sites selling designs using "printed" ink onto white sticker, our designs are cut from a color rich roll of vinyl. When applied, the decal will appear painted right on the wall. Colors may vary depending on your computer or device screen resolution. Trendy Wall Designs suggests the ordering of a color chart before placing your order to get the exact color vinyl of your choice. Includes 3 FREE samples to try out and ships for FREE. I love this color chart. Pieces of the actual color, not just a paper that may or may not be true color. Color chart was very helpful in deciding which wall decals to order for my space. Sure I'll be using it again for my next project! I ordered two large wall murals for one large space. They went on very easily. The colors are beautiful. And, it brought something different to the space, yet somehow was a natural addition. I would definitely recommend this company to anyone as well as order from them again. My only recommendation would be is to offer more color options in the future. Good way to check out the colour options available before buying your decals. Glad I ordered the color chart, it really helped when ordering.